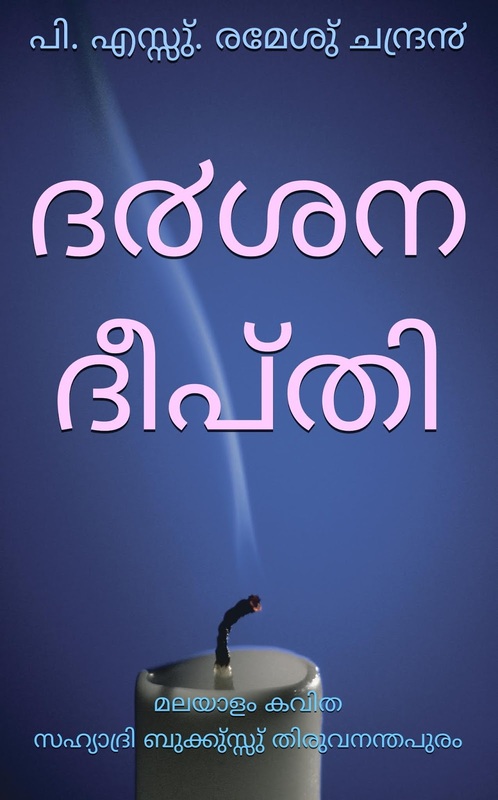 Sahyadri Books Online Trivandrum. : Malayalam Long Poem 003. Darsana Deepthi. Full Book. P. S. Remesh Chandran. Editor, Sahyadri Books & Bloom Books, Trivandrum. 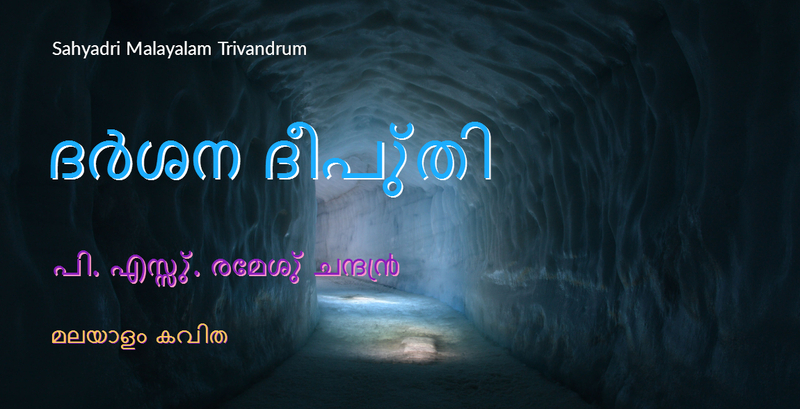 Online Literature Blog edited by P.S.Remesh Chandran, Padmalayam, Nanniyode, Pacha Post, Trivandrum 695562. Malayalam Long Poem 003. Darsana Deepthi. Full Book. P. S. Remesh Chandran. Editor, Sahyadri Books & Bloom Books, Trivandrum. ദ൪ശന ദീപു്തി: മലയാളം കവിത Darsana Deepthi Malayalam Poem. Kindle eBook. LIVE. $0.99 USD. Published on April 14, 2018. ASIN: B07CCHBXMR Length: 17 pages. Editor of Sahyadri Books & Bloom Books, Trivandrum. Author of several books in English and in Malayalam. And also author of Swan: The Intelligent Picture Book. Born and brought up in the beautiful village of Nanniyode in the Sahya Mountain Valley in Trivandrum, in Kerala. Father British Council trained English teacher and Mother University educated. Matriculation with distinction and Pre Degree Studies in Science with National Merit Scholarship. Discontinued Diploma studies in Electronics and entered politics. Unmarried and single. Author of several books in English and in Malayalam, mostly poetical collections, fiction, non fiction and political treatises, including Ulsava Lahari, Darsana Deepthi, Kaalam Jaalakavaathilil, Ilakozhiyum Kaadukalil Puzhayozhukunnu, Thirike Vilikkuka, Oru Thulli Velicham, Aaspathri Jalakam, Vaidooryam, Manal, Jalaja Padma Raaji, Maavoyeppoleyaakaan Entheluppam!, The Last Bird From The Golden Age Of Ghazals, Doctors Politicians Bureaucrats People And Private Practice, E-Health Implications And Medical Data Theft, Did A Data Mining Giant Take Over India?, Will Dog Lovers Kill The World?, Is There Patience And Room For One More Reactor?, and Swan, The Intelligent Picture Book. Post: P. S. Remesh Chandran, Editor, Sahyadri Books, Trivandrum, Padmalayam, Nanniyode, Pacha Post, Trivandrum- 695562, Kerala State, South India. The one and only video channel where Real Musical English Recitation Videos are available for free download in You Tube. Others say it, we sing it. 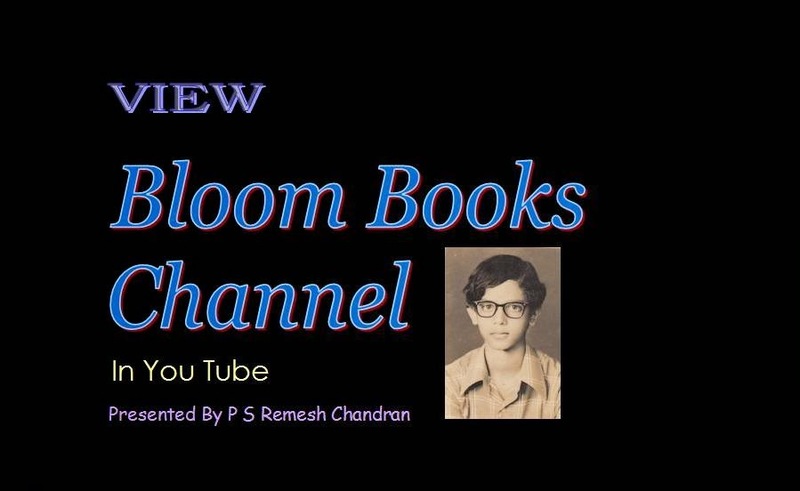 P.S.Remesh Chandran, Editor, Sahyadri Books And Bloom Books, Trivandrum. Born and brought up in a rural hamlet, Nanniyode, in the Sahya Mountain Valley in Trivandrum. Father British Council trained English teacher and Mother University educated. Matriculation with distinction and Pre Degree Studies in Science in Mar Ivanios College, Trivandrum with National Merit Scholarship. Discontinued Diploma Studies in Electronics and entered politics. Taught English Poetry for 30 years and served equally long in State Civil Service. Continuing. Unmarried and single. Author of several books in English and in Malayalam, including poetical collections, fictions and criticism. Ulsava Lahari, Darsana Deepthi, Puzhayozhukee Eevazhi, Vaidooryam, Manal, Jalaja Padma Raaji, Kaalam Jaalakavaathilil, Goodlaayi Graamum, Time Upon My Window Sill, The Good English Book and Swan, The Intelligent Picture Book are a few among. We are immensely grateful to you for spending your precious time on this site. We designed this site as something to be freely used by the student and teaching community from all countries, speaking all languages, but seeking compact knowledge on worthy figures, incidents and movements in English Literature. So, we have now enabled Translation facilities. We also hoped to provide useful material for talented general readers and researchers. As such, all text available here is free for use by all. The pictures almost all are by courtesy of Wikimedia Commons and may have restrictions on reuse. We hope, the articles published here have reached up to your expectations. We would like to have your valuable feed back and suggestions for betterment of this site. A Poet's Death Is His Life- A poem from Kahlil Gibran recast in the poetic form by P.S.Remesh Chandran. Awakening-A Poem From Bengal-P.S.Remesh Chandran. Kahlil Gibran Poems Recast In The True Poetic Form. Song Of The Wave- A Poem-Recast from Kahlil Gibran. This site is owned and operated by Sahyadri Books & Bloom Books, Trivandrum. By courtesy of Google. Picture Window theme. Powered by Blogger.